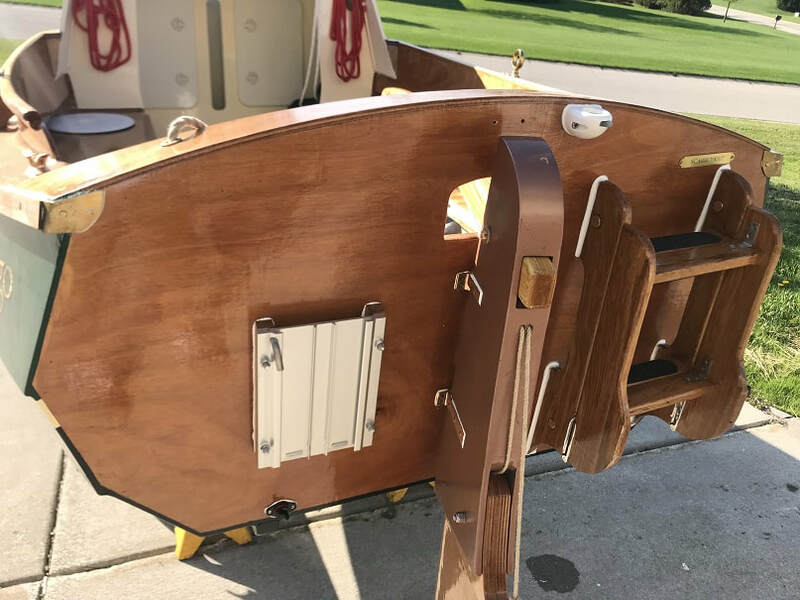 Home Page for The SCAMP Sailboat "Argo"
Looked at propane and electric alternatives, along with other gas outboard brands, all of which have their own strengths and weaknesses. The outboard motor mount adapter plate (aluminum) can be seen mounted to the port side of the transom. It is mounted with 1" offset blocks. 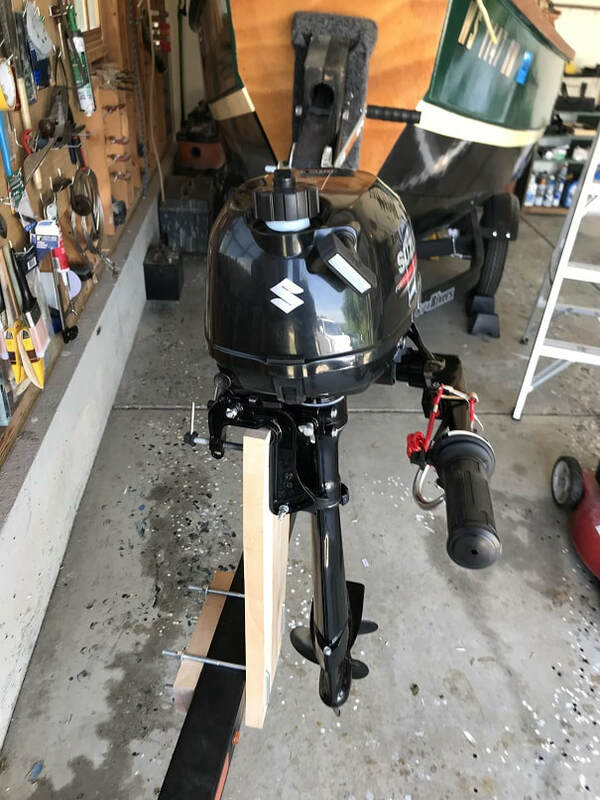 The outboard motor mounts slides onto the adapter plate when needed, and when not needed, one can remove the motor mount completely. The outboard is kept on the trailer bracket below during transport and storage.